Harry is based in Bridgwater and covers the Somerset & Wiltshire areas. He provides advice on all aspects of financial planning including mortgages, protection planning & investments. 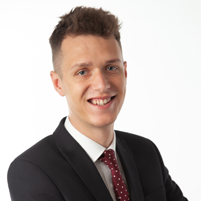 Harry gained his Diploma for Financial Advisers (Dip.FA) in 2018 after 2 years of training with Nexus. He also holds the Certificate in Mortgage Advice & Practice (CeMap), and is a Member of the London Institute of Banking & Finance (MLIBF). When not working Harry is a keen Golfer.